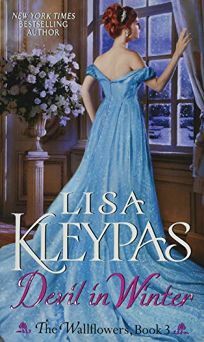 Bestseller Kleypas's latest begins with the rake Sebastian, Lord St. Vincent, striking a deal with Evangeline Jenner, the stuttering daughter of a sickly club owner whose uncle is plotting to marry her to a cousin, kill her and take her father's money. Evangeline offers up her future inheritance to Sebastian in exchange for the protection of marriage and assistance in seeing her father before he dies. They embark for Scotland, where they have a hasty marriage. Despite their mutual mistrust, they forge a tentative bond, but Sebastian is alarmed by his powerful reaction to the consummation, while Evie tries to defy her feelings for this ""muff-chaser."" After Evie's father dies, Sebastian takes an interest in the club, and while reforming it, Evie challenges him to a three-month celibacy bet before she'll bed him again. The suspicious newlyweds fight growing passion and frustration while a mysterious villain makes attempts on Evie's life. Kleypas's fans will appreciate the high action and scintillating twists and trysts.